Lend Me A Tenor is Ken Ludwig's Tony Award-Winning play that premiered more than 20 years ago. 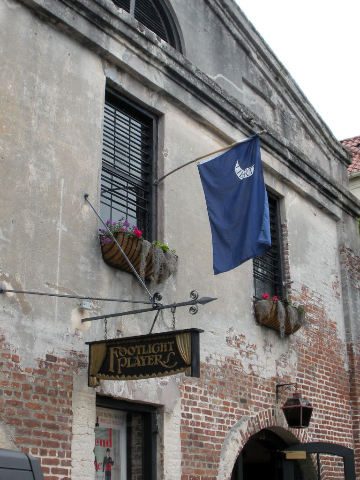 The Footlight Players of Charleston, South Carolina have brought it back to life with gusto. This fast-paced production relies on timing to make the hilarious antics work. The first act was full of long monologues to set up the plot. Hard to believe the second act would put you on a roller-coaster ride where you could have used a seat belt since the action was going on that fast. The whole play had one split set in a swanky Cleveland Hotel suite well suited for the upper-crust taste. Here you find Tito, the famous tenor checking in with his hosts. However, he was in need of some down time before he makes his appearance in Othello. Too much medication put him in a comatose state that looked like he was dead. So Max to the rescue as he adorned Tito's just-in-case second costume. Max was the assistant wannabe Ttnor and boyfriend to Maggie, the daughter of the opera fundraiser Saunders. However Maggie had a teen-age type crush on Tito and Tito's wife wouldn't have women attacking her husband with amorous suggestions so she pitched a feisty fit or two. The play had a catch me if you can scenario as several doors slammed and actors were popping in and out as fast as their legs could carry them. If you missed any of the action during the play, have no fear, a fantastically staged pantomime of the play put it all in perspective. The set was vintage 1930s in a very workable two-room hotel suite which was lavish enough for any high-brow taste. Special bravo to Taylor Ann Spencer, the costume designer for capturing the gorgeous style of that era. Sometimes the costumes were so stunning that they could have upstaged the actors. Director Don Brandenburg is the artistic director of Footlight Players. This is not the first time I have reviewed Brandenburg. He has the talent and skills to make a production stand out as special. When I saw this play on Broadway, I went into the same happy zone as I did watching Footlight Player's production. Billy Turner as Max knew how to charm Maggie and at same time convince her daddy that he was a wannabe tenor who needed a break. Maggie seemed immune to all of Max's advances because she was in loving Tito mode. Anne Reid gave her all to this part as she fluttered about as a school girl with a crush on a celebrity. E Karl Bunch has appeared in many Footlight Players productions so he is very comfortable on stage. Playing Saunders, the hysterically manic fundraiser who is depending on Tito to make his project a success kept his dignity with a flair. Tito, played by Telis Zecopoulos, was a natural for this part since his looks and beautiful tenor voice were infectious. Tito's wife Maria played by Lisa Bensen was as glamorous as any '30s actress could be. She wore her costumes well. Bensen must have felt like Tito's wife as soon as she put on her costume as some performers admit to this being their truth. The bellhop always had an important part in Lend Me A Tenor and Kevin Deese tried his best to steal the show. He came in and out of the set as often as he thought he would grab the attention of Tito for a photographic opportunity. He even tried to sing to him as if he was auditioning. Diana, played by Abby Sensenbaugh, and Julia, played by Lorilyn Harper, were dressed to the nines and felt so comfortable in their skin or just in her skin. 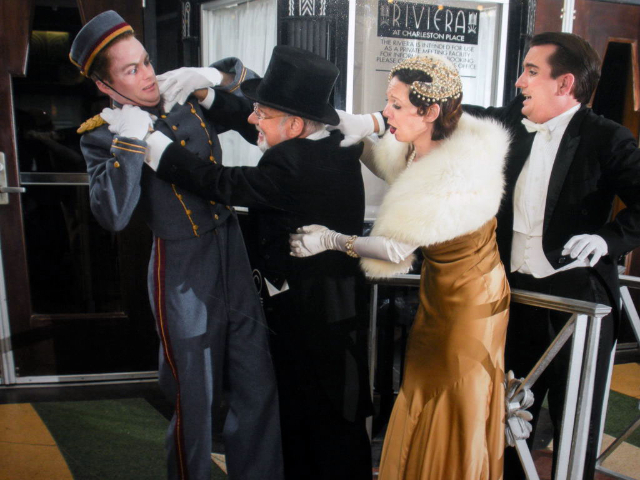 Lend Me A Tenor provided enough slapstick farce with mistaken identity and cat and mouse antics to leave you a happy camper and uplifted from an afternoon or evening of laughter. Nice to see Brandenburg at the top of his game!